Something about the holiday season always puts me in the mood to make others happy, and give. We moved into our new home a few months ago, and wanted to come up with a fun way to spread the holiday cheer to all of our new neighbors, so we decided to make one of my favorite cookie recipes!! We made our grocery list and headed over to our local Walmart to pick everything up. First, we started shopping for the actual cookie ingredients. This was easy because we had almost everything at home already, we just had to pick up some macadamia nuts, and white chocolate chips! When we got home, we started baking! We ended up making about 100 cookies in total for our neighbors, which took just about all day. It was so much fun! When we delivered them, all of our neighbors were so thankful, and excited. I definitely recommend gifting your neighbors randomly if you haven’t before. It was such an awesome experience! Today, I want to share with you the recipe that I baked for all of my neighbors. This cookie recipe is perfect for the holidays, and one that many do not automatically think about when making a Christmas cookie. I think you will love it! – Add your flour, sugar, brown sugar, baking soda, salt, cinnamon and nutmeg in to your mixer. Give it a good stir to make sure it is all mixed together. – Add all of your liquids in and mix it up, making sure there are no dry ingredients at the bottom of your bowl. 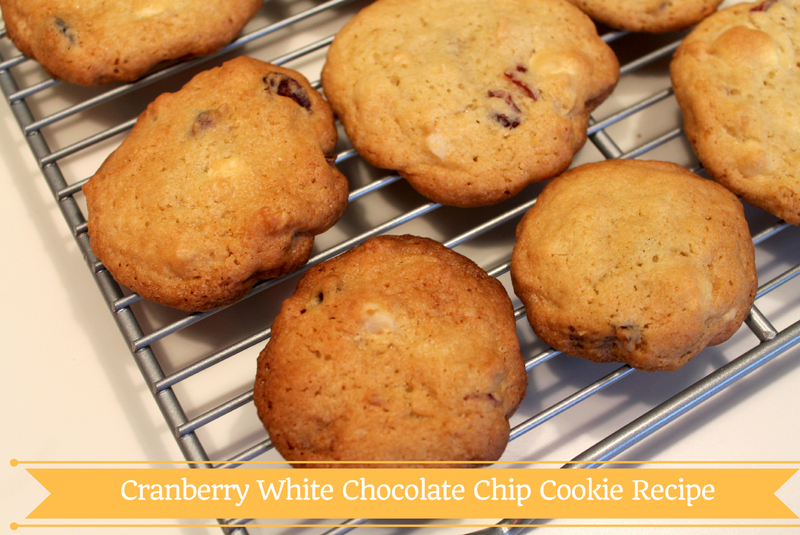 – Once everything is mixed together, add your white chocolate chips, cranberries and macadamia nuts. Mix everything together. – On a greased baking sheet, create small balls of cookie dough. I use an ice cream scoop to make it easier! – Bake your cookies for about 10 minutes at 375 degrees. Have you ever gifted your neighbors with a holiday gift? For more great holiday inspiration, click here!